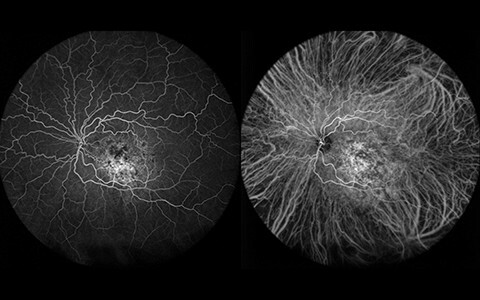 OCT angiography (OCT-A) is an emerging imaging modality with the potential to enhance the diagnostic understanding of various disease entities. 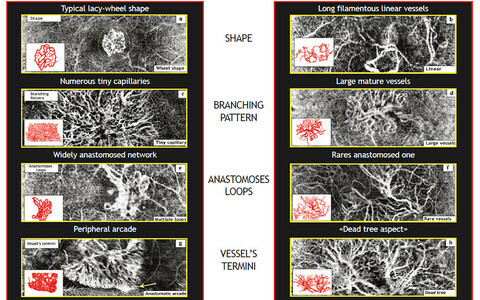 It offers the possibility to visualize vascular networks in high-resolution and non-invasively as opposed to established imaging methods such as FA and ICGA angiography. 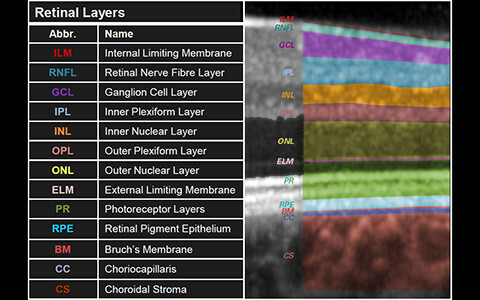 SPECTRALIS MultiColor – Scanning Laser Imaging is an innovative technology for fundus imaging offering image detail and clarity not available from traditional fundus photography. 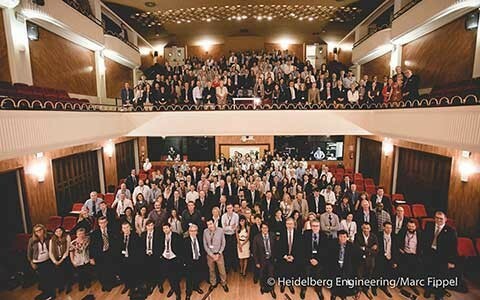 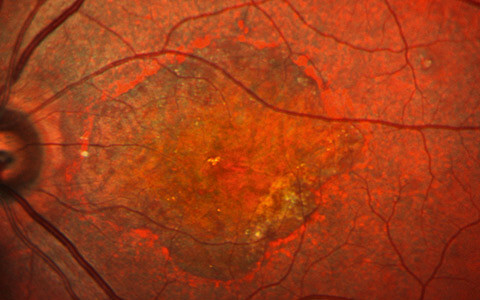 Two decades since its introduction, OCT has become indispensable for research, screening, diagnosing, and monitoring diseases of the macula and optic nerve head. 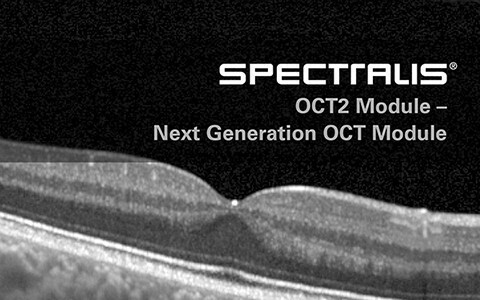 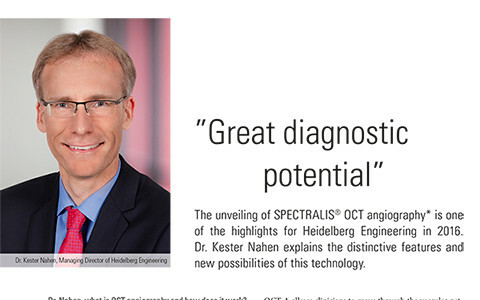 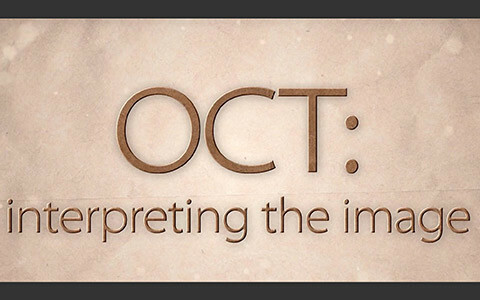 The OCT2 Module brings the next generation of OCT technology to the SPECTRALIS® diagnostic imaging platform. 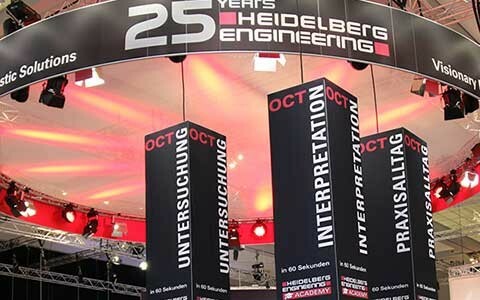 It combines a high scan rate of 85,000 Hz with Heidelberg Engineering’s proprietary TruTrack Active Eye Tracking to provide excellent image quality and significantly improved acquisition speed. 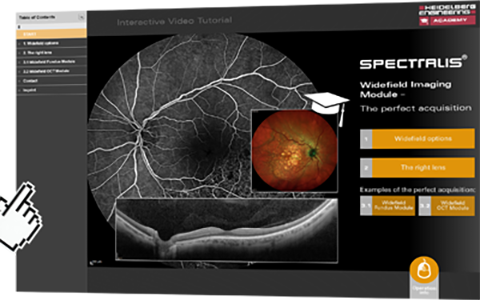 The Widefield Imaging Module provides a 55 degree field of view for all SPECTRALIS® fundus imaging modalities including MultiColor, BluePeak, infrared reflectance, angiography, and OCT.